After nearly 13 years observing Saturn and its moons, Cassini’s mission is at its end. When Cassini completes its grand finale on September 15, it would be exactly a month short of its 20th anniversary in space. Launched on October 15, 1997 by NASA, the European Space Agency (ESA) and the Italian Space Agency, Cassini spent 7 years traveling towards its mission objective — the ringed-planet Saturn’s orbit — which it reached in 2004. Now, after spending nearly thirteen-years observing the planet, (which is less than half of a Saturn year) Cassini has consumed most of its rocket propellant and is now running low on fuel. Instead of simply crashing and burning into Saturn’s atmosphere, however, the unmanned space probe began a swan song mission back in April this year. Dubbed as its Grand Finale, Cassini’s six-month long final mission was to observe as much as it could about Saturn’s rings and atmosphere as it plunges at tens of thousands of kilometers per hour into the planet. Cassini made several contributions to our understanding of Saturn and its moons. Its earliest discoveries came with the Hyugens probe landing on Titan in 2005 — the first-ever landing on a moon of Saturn. The findings of the Hyugens probe, and the images taken by Cassini later on, showed just how Earth-like Titan is. For one, its atmosphere has prebiotic compounds — i.e., hydrocarbons like benzene and methane. The moon also has water in the form of seas, rivers, lakes, and rain. Speaking of Saturn’s moons, Cassini also discovered icy plumes on Enceladus, which remain active. The presence of water on both the Titan and Enceladus have established the moons as prime candidates for potentially habitable worlds in the solar system. Cassini also solved the 300-year old mystery of Iapetus, another one of Saturn’s moons. Astronomers were baffled by the two-faced surface of Iapetus, which the probe found to be caused by the migration of reddish dust on the moon’s orbital path and splattering on its icy surface. 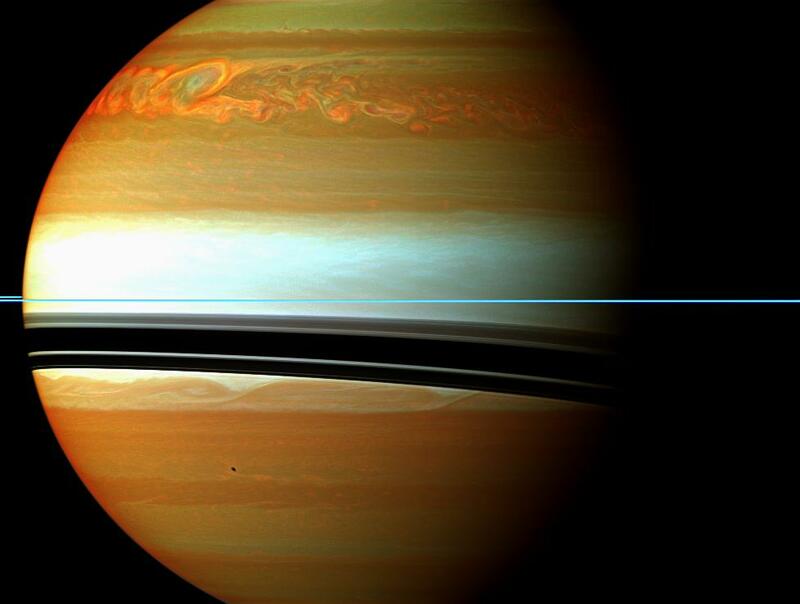 Aside from the moons, Cassini also made a number of discoveries about Saturn itself. Not only did it take the first images of the vertical structures in Saturn’s rings — which revealed them to be a dynamic system — Cassini also closely studied Saturn’s hexagon. Seen first by the Voyager in the 1980s, Cassini was able to get the first-ever complete view of the planet’s north polar hexagon. It also discovered hurricane-like storms at both of Saturn’s poles, as well as storms that last about 30 Earth-years long. The driving cosmic force behind these movements, however, remains largely a mystery. There are a number of other discoveries and we’re sure to learn more. Cassini will be traveling around the space between Saturn’s atmosphere and the inner part of its rings in an elliptical path, completing 22 final orbits by the end of this week. Space probes like Cassini have been vital in understanding our immediate galactic neighborhood. Among other things, missions such as these help us find potentially habitable environments in the solar system, which is now more crucial than ever as we consider what it would mean to be multi-planetary species.